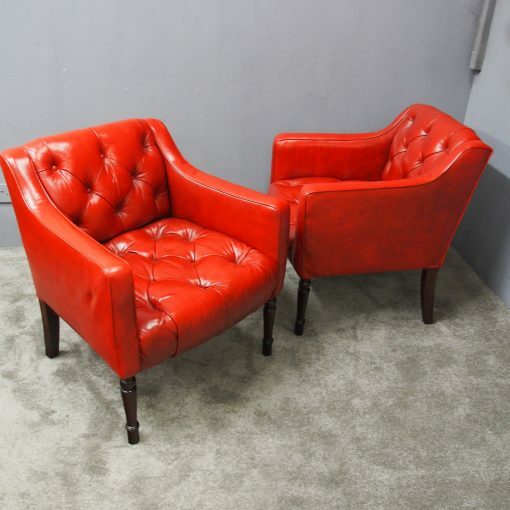 Circa 1920s, pair of George IV style leather club chairs. Covered in a vibrant red leather with pleated deep buttoning to the backs and seats, finished with piping around the entire frame. The back section is held in place by brass studs, and the back legs are square, tapering and slightly outswept. The front legs are ring turned and tapering, and both chairs have been raised in height.